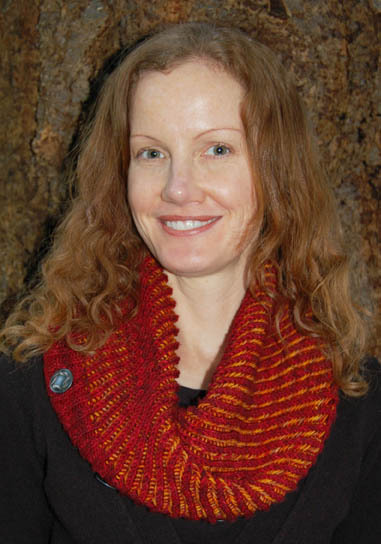 On November 13, I published the pattern Metamorph. This pattern was a long time in the making, and involved taking a journey deeper into the world of Topology than I had ever previously attempted. This blog post is my attempt to document that journey. Apologies in advance to individuals fluent in the language of Mathematics -- I only play a mathematician on YouTube. 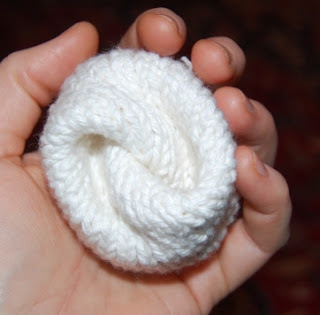 About 3 years ago while I was messing around with little form studies, I thought it would be cool to have a knitted form that looked like a torus (or donut) but had a whirlpool in the middle. 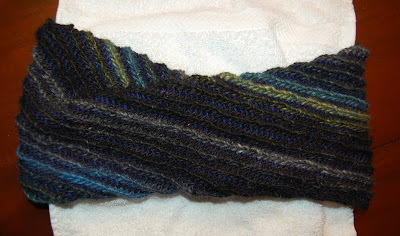 I knitted a tube, folded it, offset one edge, and grafted. Here's what I got. Not exactly what I'd pictured, but interesting enough. I documented my experiment and considered it done. Given that this I’d just done a series of explorations dissecting the moebius form and thought I understood this form pretty well, this little object just about turned me on my head. 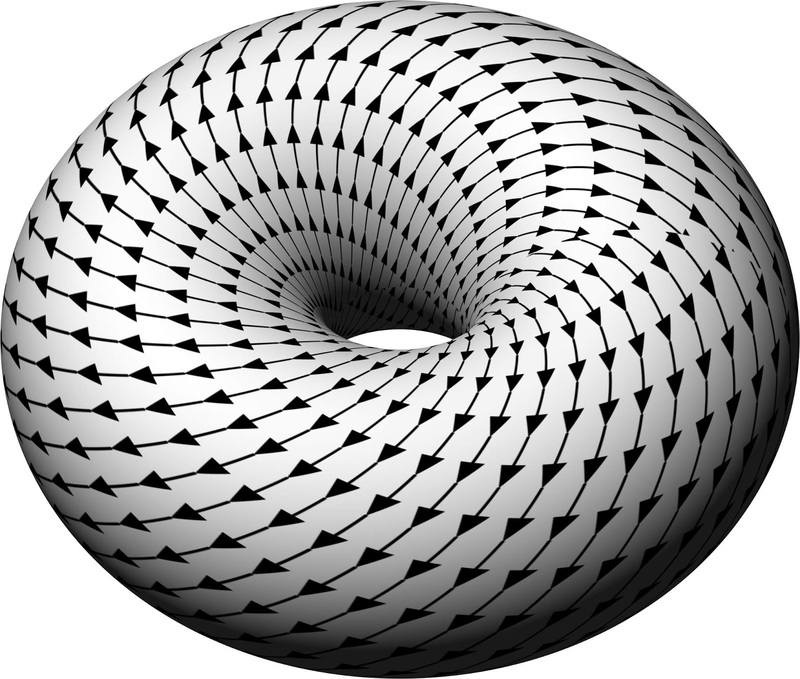 At its core, Metamorph is simply a torus. But when you offset one edge before sealing, this creates periodic harmonic orbits around the longitude, which introduces torsion -- or energy -- into the form. 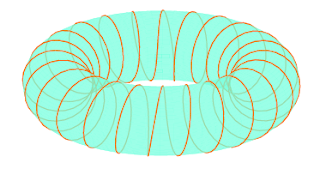 Mathematical models like the ones above show the periodic orbits. 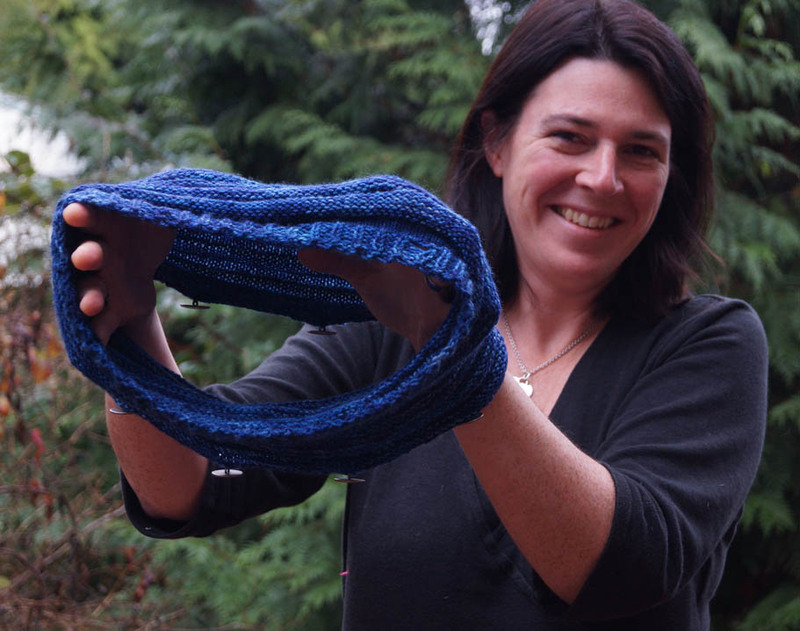 With a knitted form, the energy created by these orbits manifests as folds in the fabric. When the width:height ratio is 1:1, AND the amount of offset prior to sealing is 45 degrees, then after some gentle manipulation of the fabric, you will get a form with a single fold going all the way through the meridian. Or, a 90-degree offset will yield a form with two folds. So, Metamorph is divided into 8 equal segments because this affords a very simple mapping of n-button offset = n folds. 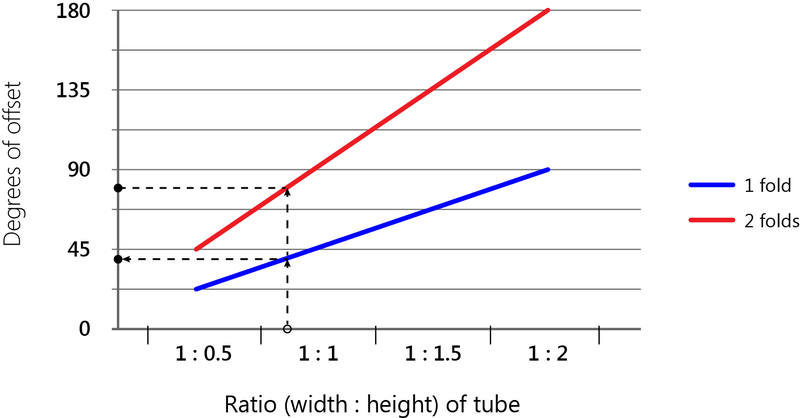 If height is less than 1/2 the width, or more than 2x the width, the form gets a little unruly. The graph shows a comfortable range of sizes. 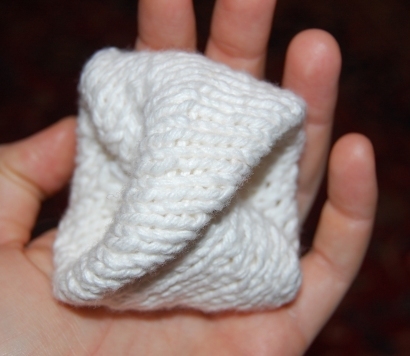 ﻿﻿﻿Let's say you're following the Metamorph pattern and you suddenly run out of yarn. Your width is 12", but your height is only 10". 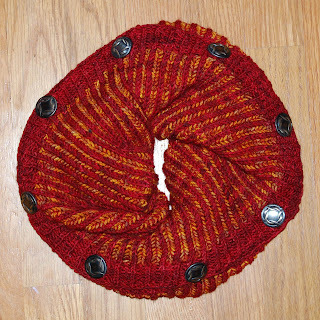 If you divide your form into 8 equal segments as directed in the pattern, you will not get neat-and-tidy folds when you button your form together. BUT, you can still get a form with nicely-defined folds IF you find your position on the graph above and alter your degree of offset accordingly. 1. 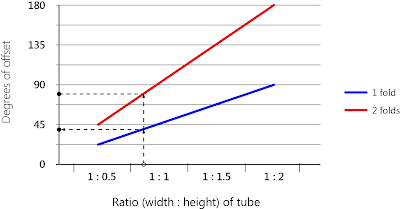 Figure out the width:height ratio, given width = 1. 2. Pick a spot on the x-axis that looks like it corresponds to (1:0.83) and move up to see about where you land on the continuous functions, then left to the y-axis to see how many degrees of offset correspond to the point on each line. In this case it looks like somewhere around 36 degrees for a single fold, or 1/10 of the total circumference. 72 degrees will get you 2 folds. So you can still have a mapping of n-button offset = n folds if you divide your tube into 10 segments instead of 8. Or you could also go the other way: say you have 12 buttons and you want to use them all on your Metamorph. Divide 360 by 12 and you get 30; this time the matching width:height ratio for n-button offset = n folds would be about 1:0.67. Or you could double it up: with a ratio of 1:1.33, then if you divide your form into 12 equal segments, a 2-button (60-degree) offset will give you 1 fold and a 4-button offset will give you 2 folds. Is your head hurting yet? Mine is. Now, adventurous souls may be wondering: what will my form look like if I go outside those lines? With the 12-button, 1:1.33 example, what if you offset by some odd number of buttons? Again -- I'm so glad you asked! This is a snapshot of a 1:1 form with a fold that goes only part of the way through the meridian. I don't remember exactly what I did, but based on how far down the fold goes (looks like about halfway to me), my guess is I gave it a shift of about 22.5 degrees, or half of what it would have taken to get a single fold across the meridian, based on the graph above. 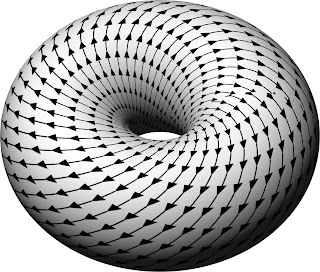 I owe a huge debt of gratitude to sarah-marie belcastro, Joshua Samsor, and Yonatan Munk for helping me get this deep into the wonderland of Topology. 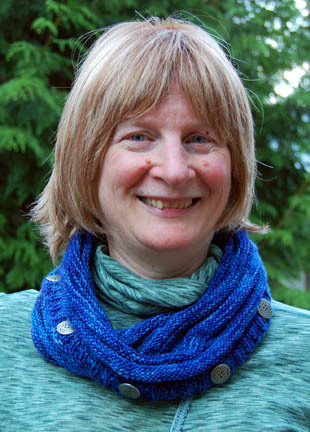 To download Metamorph, please visit the Ravelry pattern page. So, take a look at the cowl below. It looks like it's the same form as the one on the above right... or is it? Unlike the moebius above, the basic form of this cowl comes apart into just a simple tube. Don't believe me? Watch this video on YouTube to see the live-action version. 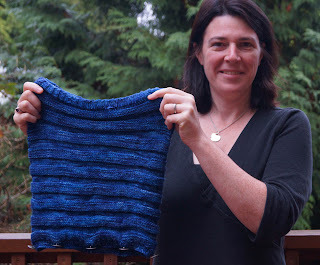 I have a new pattern on Ravelry exploring this topic, which you can download here.